Villa Rubin was completed with top quality materials and refined luxurious interior art works from all over the world. 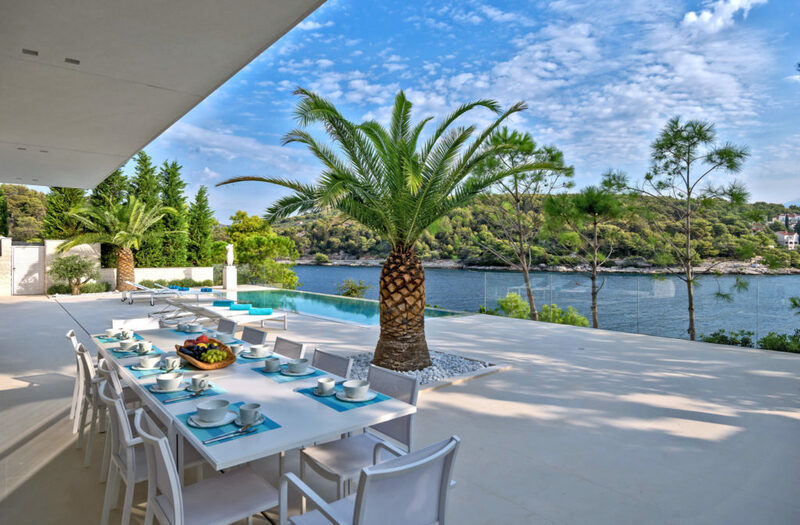 The villa has a lovely large pool and terraces with a big table so dining has that special atmosphere and is a joy. Each bedroom has its own private terrace, a king size bed (of which 4 are separable), an en-suite bathroom and high-speed internet. One bedroom/bathroom is suitable for disabled people having an enlarged showering area with a bench. 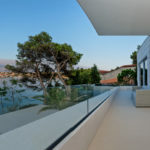 Each room on the ground floor has stunning glass walls opening up on to the terrace (350m), and throughout the villa there is a Sonos sound system with Bose speakers. The villa also has its own staff and concierge. In Sumartin Bay (1,2 km) and Selca Bay (2 km), which are the two closest villages, you can find restaurants, cafes, bars and shops. For more activity, why not make the most of a superb boat trips to Hvar Island and Hvar Town and to some top spots around the islands, with lunch – definitely recommended. Or, Makarska on the mainland is easily accessible in around 45 minutes on the ferry and makes for a good day trip, or why not hire a car and explore the island itself? Features: great views out across the Adriatic, very comfortable interior and pool!